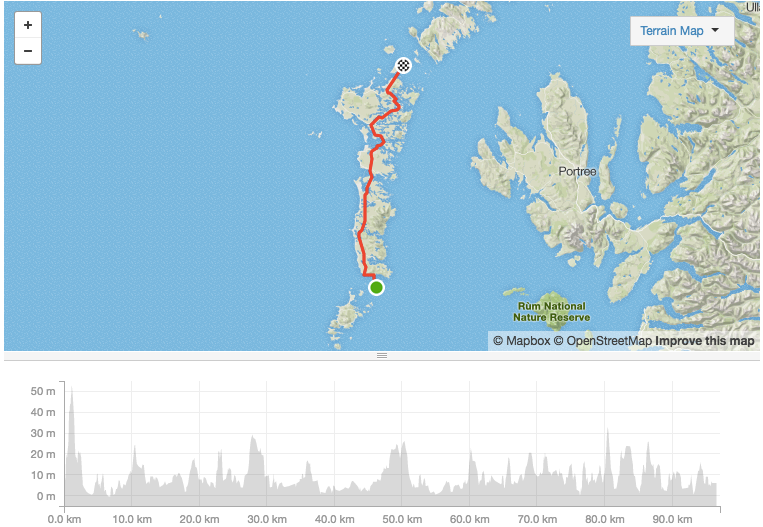 Todays riding is 97km / 614 m elevation gain. Est riding time – 4:24 hrs. 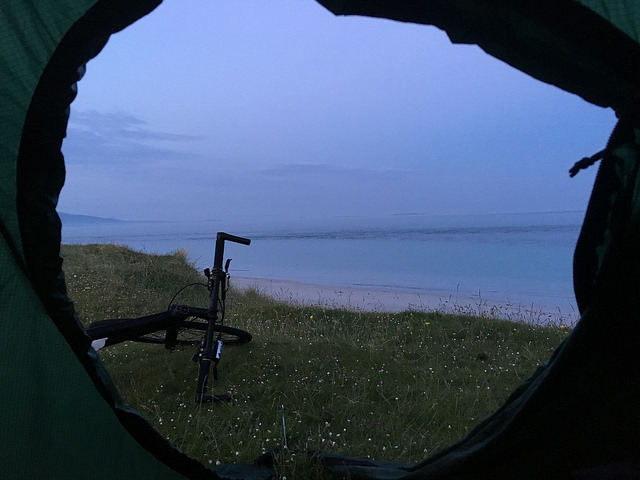 Waking up at the campsite in Borve. I wasn’t dreaming, I really was here! 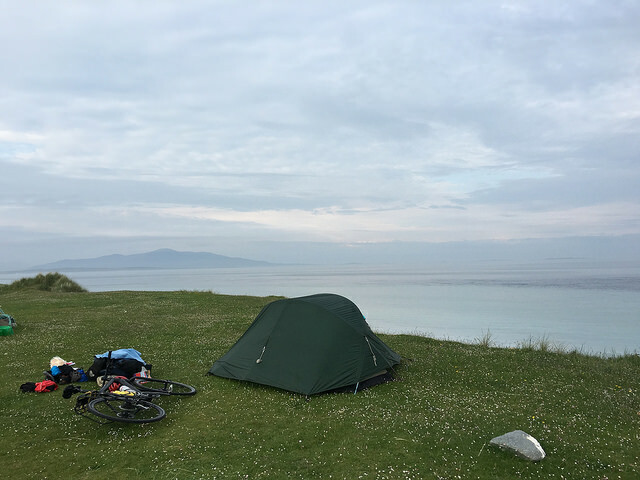 After packing up camp, and a few stretches – I hopped on my bike for a short ride to the ferry – heading from Barra to Eriskay. Ferry leaves at 9:25 am. Meeting some other like-minded souls on bikes at the ferry was nice. 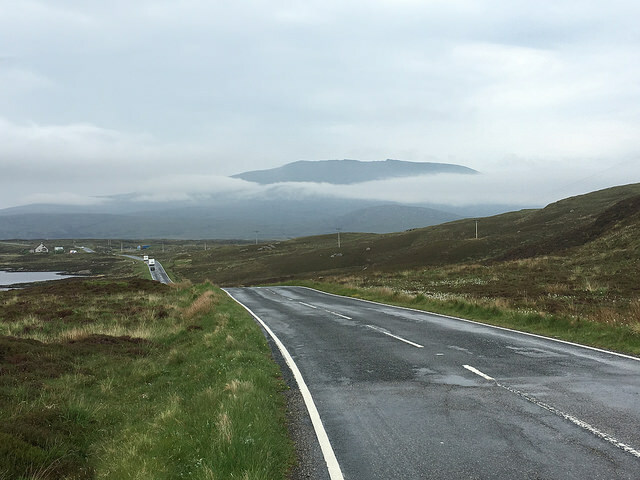 To share ideas and experience of touring, and to get to know what’s in store for my ride north. 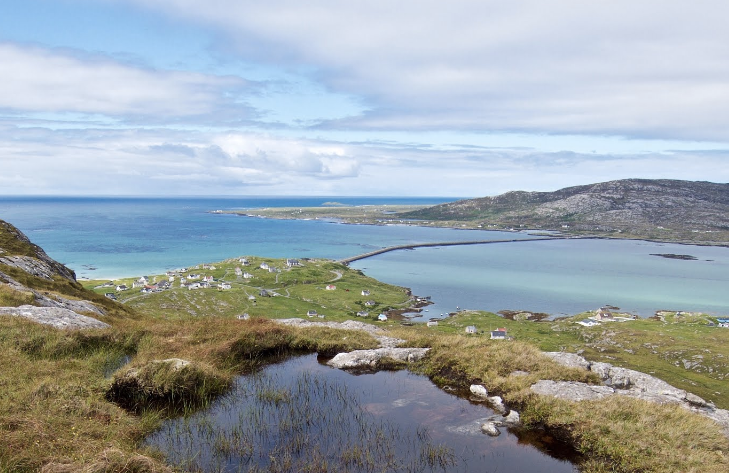 On arriving in Eriskay harbour, there is a steep climb out over the hill into Eriskay village. A great post office, where you can withdraw cash, and get camping supplies. 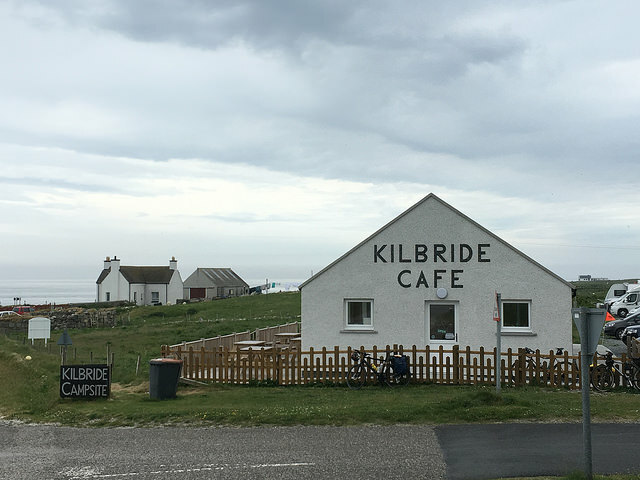 From there you head over the land bridge to Ludag and South Uist, where there is Kilbride cafe and campsite next to it. From here it is straight north with the Atlantic on your left. 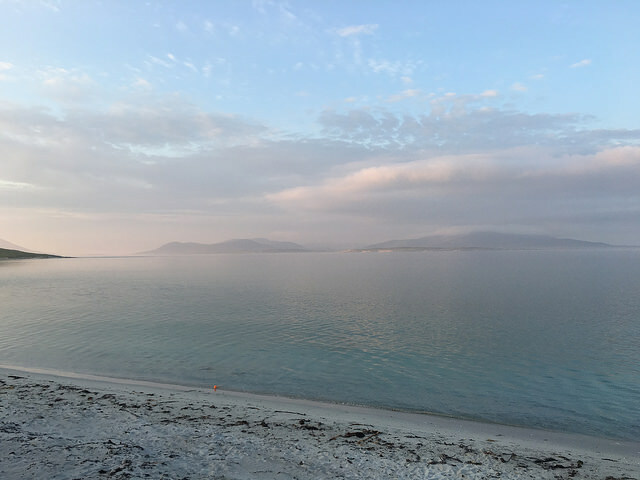 Benbecula, North Uist and Berneray, all have fantastic landscapes that require your time. Just stop and breath it in. There is a co-op supermarket after the land bridge onto Benbecula, at Creagorry. 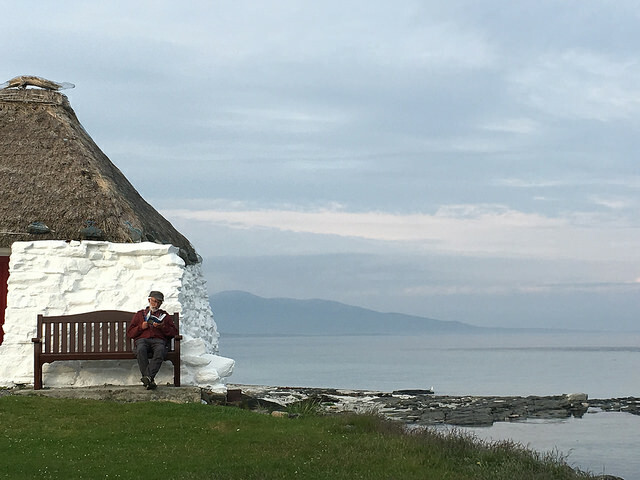 In North Uist, I went to Lochmaddy as it has a fantastic arts and cultural centre. 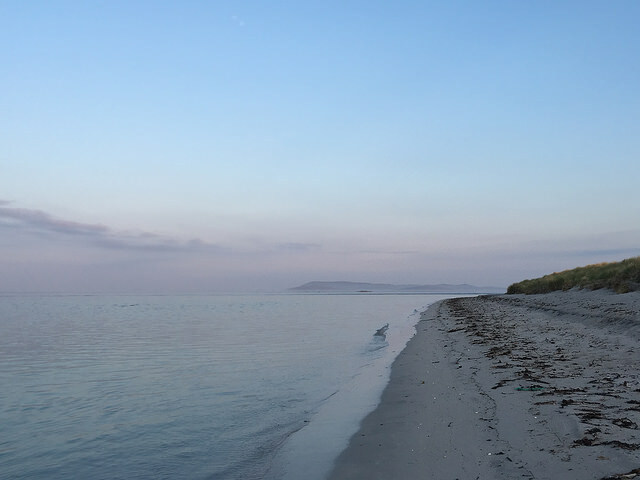 Also cafe, pub and wild camping potential on the headland. This is also where I spotted my first sea otter crossing the bay from shore to shore. 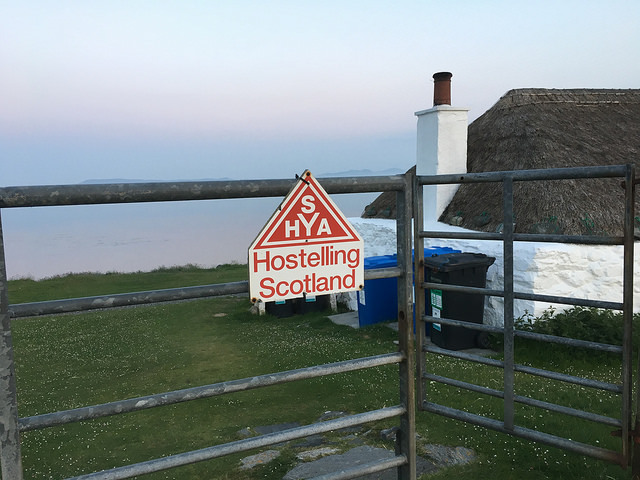 Arriving in Berneray, I headed to the the Gaitliff trust hostel – which is open all year. You can either sleep in the dorms, or camp in the dunes – which I did. 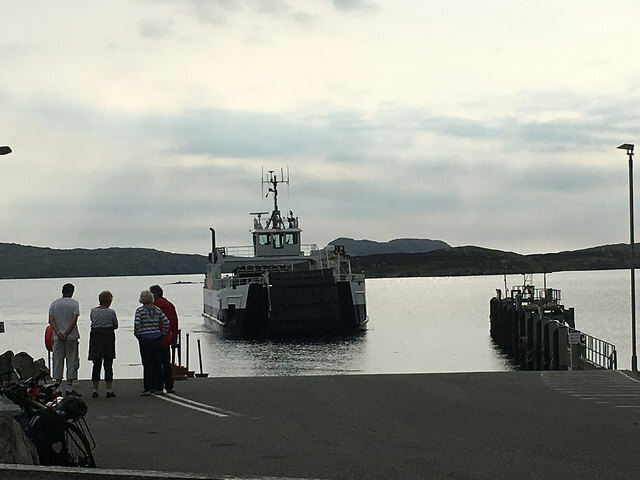 There is a cafe and post office in the village, as well as ferry north to Harris.